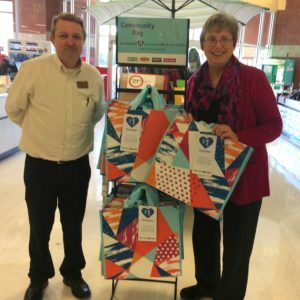 Purchase a Community Bag at Winn Dixie in Rainbow City during the month of April and a $1 donation will be made to Gadsden-Etowah Habitat for Humanity during the month of April! 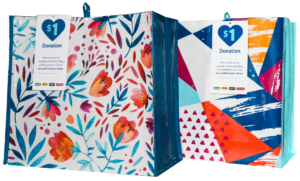 They are reusable and environmentally friendly shopping bags. 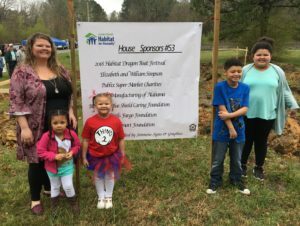 Celebrating 52 Habitat Homeowners in Etowah County! Just click on "Waiver", complete and send in. 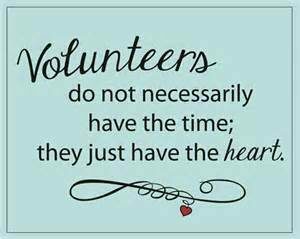 We need your volunteer help and support. 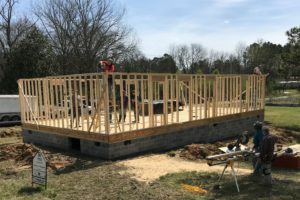 Gadsden-Etowah Habitat for Humanity is a nonprofit, ecumenical Christian housing organization, that has been building simple, decent and affordable homes in Gadsden, AL, since 1996. 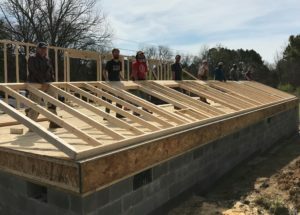 Gadsden-Etowah Habitat for Humanity partners with volunteers and low income families to build affordable housing. The houses are sold to families at no profit and with no interest. As of 2018, 162 individuals now have a simple, decent place to rest their heads at night. 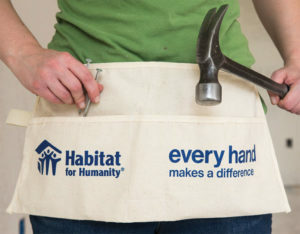 Volunteers provide most of the labor, while individuals and corporate donors provide funds and materials to build Habitat houses. 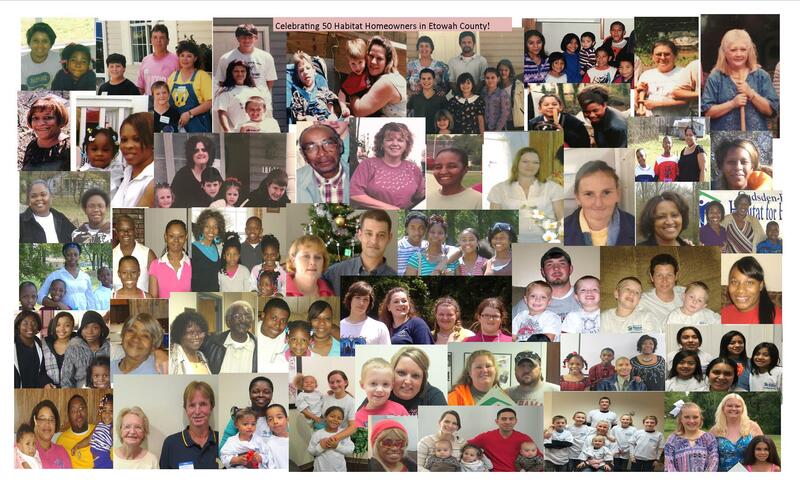 Partner families themselves invest 300 hours of labor - "sweat equity" - building their homes and the homes of others. Their mortgage payments go into a Revolving Fund for Humanity to purchase building materials for the construction of more houses. Save the date .......Sat. 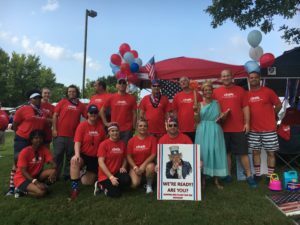 Aug. 17, 2019 at Riverwalk Park, Gadsden, AL! 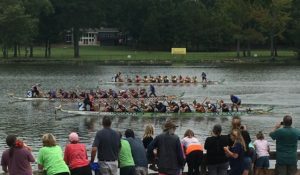 8th Annual Habitat Dragon Boat Festival! 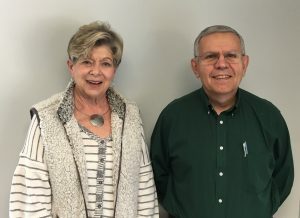 Debbie Wood and John Czervionke. 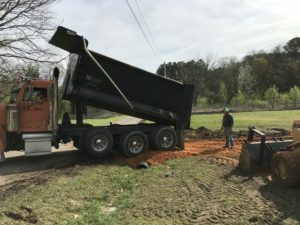 If you would like to volunteer and be a part of this exciting partnership, please contact us. There's something for everyone!